Honda, known for bringing reliable bikes in the Indian market comes with a new model The Honda CB Hornet 160R. This is the successor to the ever reliable and one of the most successful bikes in the segment the Honda Unicorn 150 and also the 160 variant of Honda Unicorn. Here I would review the new Honda Hornet 160R. Hope this article is informative. Honda has played a lot of hide and seeks game in the 150 and the 160cc category and I would say no bike in that category was beautiful enough to hold onto that badge. Each bike had flaws in the design and any model was not in a league to be called one of the best in the 150 or even the 160cc category. Now Honda has really stepped up the game and has brought to the market one of the best designed naked bikes in the 160cc category. Honestly speaking I have not seen a bike so muscular and beautiful like the Hornet 160R. The muscular design even outshines the hugely popular and successful Yamaha models; the FZs. Anyone would like the design of this bike. Such is the design dominance of this Hornet 160R. There are a lot of options to go for if you happen to be caught in the 150 or 160cc category. But the Hornet 160R is one of the best options you can go for. You will have everything you aspire to have on a naked faired bike. This is not just a common bike in the 160cc category released to the public, merely because Honda needs to bring one into the market for the sake of it. This is a truly crafted machine built for a cause. This is quite apparent while you just glare at the key elements of the bike. Nothing is copied from anywhere, everything is thought processed and truly genuine and pure. We often see bike manufactures copying different design cues from other manufacturers, for instance the Hero Ignitor was copied from the Honda Stunner's design. Such things happen but here whatever Honda has brought here is absolutely genuine from the company's engineers. I will give you detailed review about the design, the engine performance, and the fuel efficiency and also ride quality and everything you need to know about the bike. Let's start with the design and looks. I would rate this design as the best in this category in the Indian market today. I am speaking about the naked bike category and not faired bikes. If faired bikes are taken into consideration then R15 will score more than any other bike. Now let's come to the point, the bike is designed to be appealing and really look muscular but also should not be far more fantasy type. Here Honda is bringing very cool and fantastic design architecture. The beefy tank, carbon fibre look-alike finish, multi spoke alloy wheels, the exhaust, neatly designed saree guard, the "X" shaped tail lamp, which is the first of its kind and one of the most striking features of this bike. Now there are some downsides as well. Even though there are a lot of positives in the design there is something which disappoints as well. 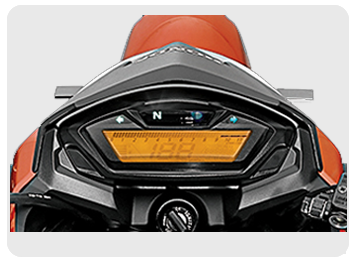 The switches which you will find are of very low quality and don't give justice to the overall design of the bike. Keeping aside that, whichever angle you look the Hornet 160R from, it looks absolutely muscular and superb. I would rate this design 4.9 stars out of 5. The instrument console here is digital and there is nothing analogue here. The tachometer, odometer, the speedometer and the fuel indicator, everything mounted on the relatively rectangular screen. What I don't like about this design is it is exactly as same like the Unicorn's, had they brought about a change in this design it could have been a very lovable thing about this machine. The digital console is almost like what you see on the Unicorn and the Trigger. I would say everything is readable and clear on this console but should have been a little more different and sportier which could have given the customers an altogether new design by every means. I would say it is quite readable and User Friendly but still lacks polish. The bike has a 162.71cc Air-cooled 4 Stroke SI engine, with a maximum power of 15.8 PS@ 8500rpm and a maximum Torque of 14.76 NM@6500rpm. The engine is smooth and refined. The Top speed as claimed by Honda is 110kmph. The bike has a 5 speed transmission which too is quite smooth and gives imperceptible shifting. The engine is highly refined and smooth making this one of the best engines you will find in this segment. The bike redlines at the 11000rpm by which you can understand how smooth and refined the engine is. There are no rash noises from the engine and is quite smooth. So engine is a great performer and the bike is a powerful one, frankly speaking I would rate this as one of the best bikes in the segment. The ride quality on this bike is excellent and has that confidence you need when you are riding a bike above 160cc. The wider rear tyre is a very important aspect around which the ride, handling and the maneuvering ability of the bike sticks to. Whenever I like to hop onto a bike and enjoy my ride one important parameter which I look upon is the transmission, i.e. the shifting and also clutch. The clutch which is very important while riding, has to be super light if not can give a lot of pain to the left wrist. Here in this machine the clutch is light and the transmission too is smooth. One of the striking features which stand out is the braking. The brakes are so excellent and give enough bite you need and also gives you a lot of confidence on the go. Now let me tell you the downside, which I think this is the only thing. The rear suspension is stiff and is not at all comfortable on hard conditions. Apart from this the bike has a very good ride and handling experience. Honda claims a mileage figure of 59 kmpl, according to me it is too ambitious. Looking into it in the most practical way the bike will give around 46-48 kmpl in city and almost 50-52 kmpl on highways which is quite good taking into account the engine, the overall weight of the bike and also the wider rear tyre. I think 50 kmpl would really be great for this machine. The Honda CB Hornet 160R is priced at Rs. 84,783 ex- showroom Delhi for the CBS variant and 80,283 for the standard variant. I think this is quite an aggressive pricing. By the figures it is obvious that on road price would be around 94ks for the CBS variant and around 89ks for the standard variant. The pricing is aggressive and I think you need to pay the above said amount if you love to ride this beauty. Excellent design and looks, superbly refined engine, sensational riding quality, powerful breaks, super light clutch and smooth transmission. Dated instrument console and switches, stiffer rear suspension, may be a bit overpriced for some. This bike is easily one of the best designed in this segment. So being so enchanting will woo a lot of customers. What has happened in the Indian market here is that there is a great rise in the sales of naked bikes and Honda wisely brings one such beautifully crafted machine. The niche is expanding, but at this point if I were to recommend a bike in this segment, I would really go for voting the Honda Hornet 160R. All the parameters here are ticked off and the complete package is rightly named the Hornet. The engine, the handling, and the decent mileage everything is noteworthy and this is quite easily one of the best in its segment. Hope this article helped you to know about the bike. Thank you for taking time for reading.